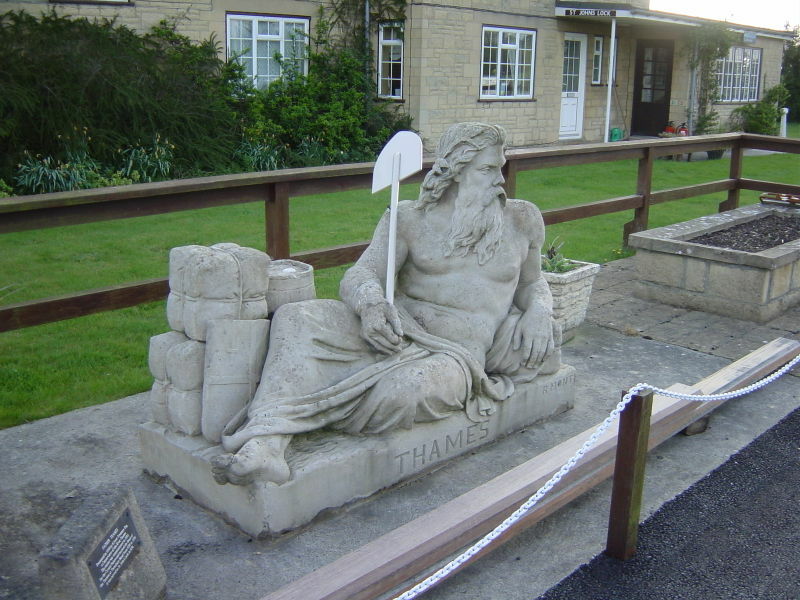 River Thames ( Temese )or river Tamas? 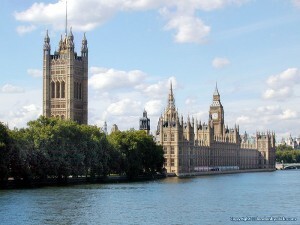 The river Thames flows through southern Britain It is the longest river entirely in England and the second largest river in Uk. The Thames, from Middle English Temese, is derived from the Celtic name for the river, Tamesas (from tamessa), recorded in Latin as Tamesis and underlying modern Welsh Tafwys “Thames”. The name probably meant “dark” and can be compared to other cognates such as Sanskrit tamas, Irish teimheal and Welsh tywyll “darkness” (Proto-Celtic temeslos and Middle Irish teimen “dark grey”. The river’s name has always been pronounced with a simple t ; the Middle English spelling was typically Temese and Celtic Tamesis. The th spelling lends an air of Greek to the name and was added during the Renaissance, possibly to reflect or support a claim that the name was derived from River Thyamis in the Epirus region of Greece, whence early Celtic tribes were erroneously thought to have migrated. The Thames through Oxford is sometimes given the name the River Isis. Historically, and especially in Victorian times, gazetteers and cartographers insisted that the entire river was correctly named the River Isis from its source down to Dorchester-on-Thames, and that only from this point, where the river meets the River Thame and becomes the “Thame-isis” (supposedly subsequently abbreviated to Thames) should it be so called. Ordnance Survey maps still label the Thames as “River Thames or Isis” down to Dorchester. However since the early 20th century this distinction has been lost in common usage even in Oxford, and some historians suggest the name Isis—although possibly named after the Egyptian goddess of that name—is nothing more than a contraction of Tamesis, the Latin (or pre-Roman Celtic) name for the Thames. Surprisingly there is Tamas river in India. Maharshi Valmiki’s Ashram was there on the bank of river Tamas. 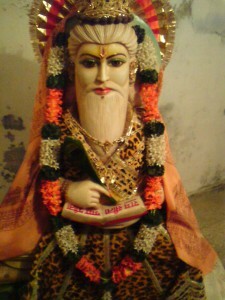 Sitaji stayed in valmiki ashram after Ram abondoned and send her to jungle. The twins Lau and kush borned there in Valmiki Ashram, at the bank of river Tamas. It is said that Britain was connected to mainland Europe by a large expanse of land known as Doggerland in the southern North Sea basin. At this time, the Thames’ course did not continue to Doggerland, but flowed southwards from the eastern Essex coast where it met the Rhine, the Meuse and the Scheldtflowing from what are now the Netherlands and Belgium. Among all this facts the most surprising is the statue of Old Father Thames. 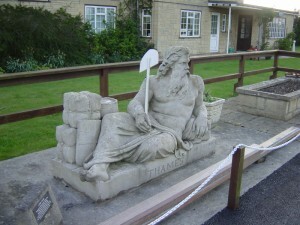 In facts Rivers have mostly women form of personofocation, while in this case Old father is human personification of river Thames . Now who will open the mystery of big Bunles of Books which can be seen near the statue of old father?? Valmiki ashram was at the bank of river Tamas. Lau –nandanam ( London) and Tamas (Thames) are all Sanskrit words. Means the so called Barbarian tribes of Europe knew sanskrit language? Agni, the childhood friend of Manu ,came to Ayodhya,from the distant west, to meet his friend Manu. Agni told Manu that Vaivaswata Yama (Manu’s younger brother) was alive after great flood.Agni informed that Yama went to mountains towards west. On the seashore Yama found lot of dead bodies. The floods and then the epidemic which followed had taken the lives of all the residents of that place. Yama called it Mrutulok. On the seashore Yama founded two colonies named Swarga and Narka. Yama ruled from there. 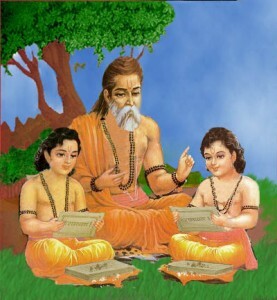 According to religious traditions Manu was happy to learn the well-being of his younger brother Yama. It is more surprising that today”s Sweden is pronounced Locally as “Swirge” (Sverige) and There is also “Narke” central province there. Naturally Seashore is very much near to Swarge and Narke. The facts in our own purana and ancient history convey us that After great flood on earth, Manu was at Ayodhya while his younger brother Yama was at far west. Now there should be end of propaganda that Aryan migrated from west. In fact After great flood on the earth Aryans were at both the end. And there should be migration from both the ends towards each other.. After all Manu and Yama were brothers. you can read about God Ymir..! Why we dont believe facts of our ancient scriptures? Why our History repeatedly says that Aryan invaded Bharatvarsha? Why our history do not believe our ancient scriptures and turn down it as framed or fake? The theory of Aryan invasion itself turn dawn existence of Ram. Is it not painful? At the end of research……………….. I found Tamas or Tons river in Devbhumi too. It is tributary to Surya Putri “Yamuna”. The Tons or Tamas is the largest tributary of the Yamuna and flows through Garhwal region in Uttarakhand, touching Himachal pradesh. The Tons thrust is named after this river. Its source lies in the 20,720 ft (6,315 meters) high Banrpunch mountain, and is one of the most major perennial Indian Himalaya rivers. In fact, it carries more water than the Yamuna itself, which its meets below Kalsi near DEhradun, Uttarakhand. But he was unhappy to see the Kauravas getting defeated. He shed his tears. The local people in the Garhwal region believe that Barbareek’s tears still flow. It is those tears of intense, helpless, uncontrollable sorrow, that now make the river Tamas or Tons. That is why the water from this river is never drunk. The People of Gaul were called Barbarian only that much I can say. Why they were called Barbarian is matter of speculations.